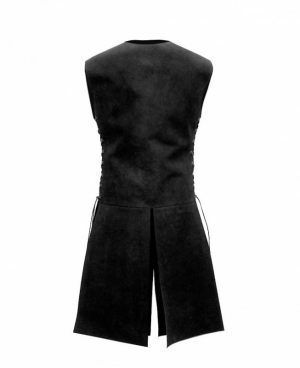 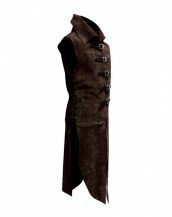 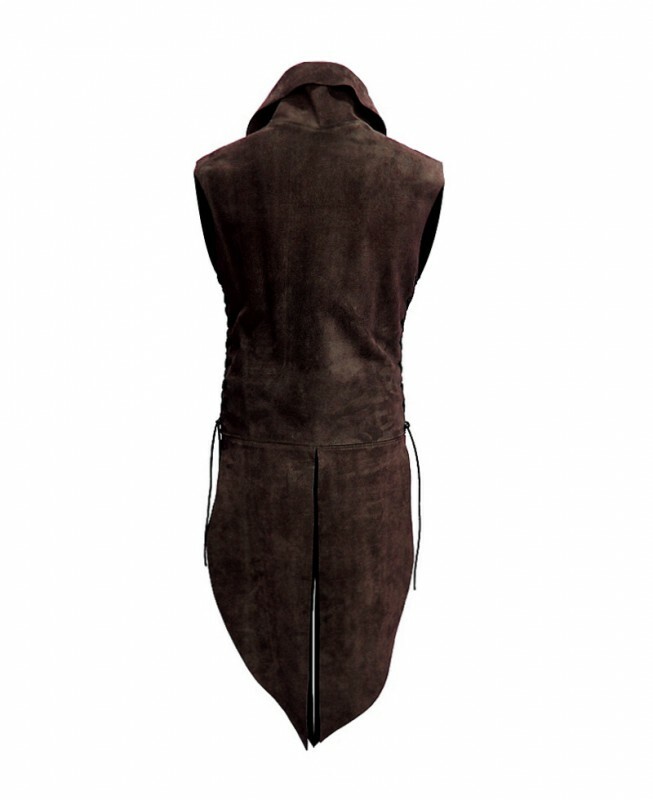 This suede gilet will be the perfect adult Halloween costume for you this party season. 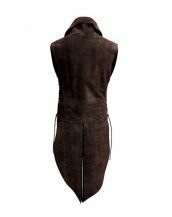 Be ranger or Robin Hood, the options are endless in this sleeveless tunic featuring adjustable buckle fastenings and side crisscross drawstrings. 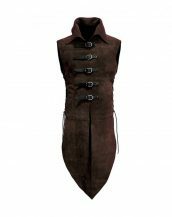 Jazz it up even after the party is over with this spread collar costume combined with the perfect contemporary street style pairings. 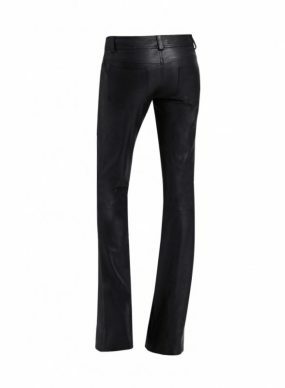 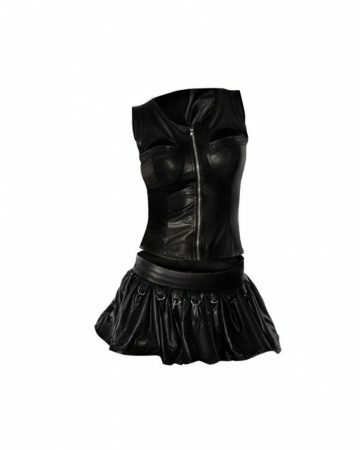 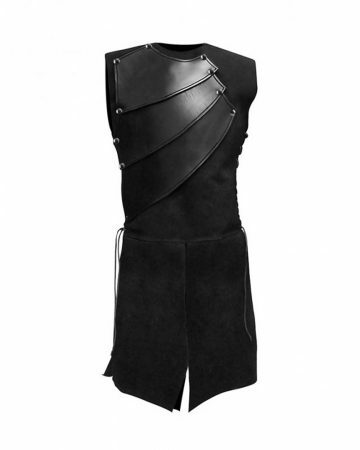 Pick up this versatile piece of mens leather wear now, for Halloween and other power packed evenings to come.